Near Gorebridge, on minor road north of A7. One of the most important prehistoric monuments in Scotland, Cairnpapple was used as a burial and ceromonial site from about 3000 to 1400 BC. Good views of east-central Scotland may be had from the hill. 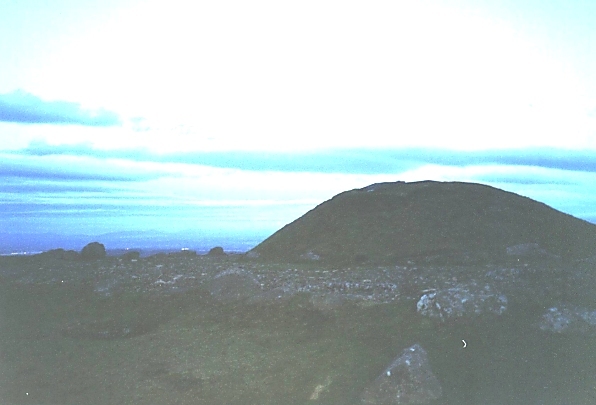 An Iron Age hill fort with a souterrain built in one of the ditches. One miole south of Drem, 66 NT 507 782. One of the best-preserved examples in Scotland of an Iron Age fort defended by an elaborate system of ramparts and ditches. 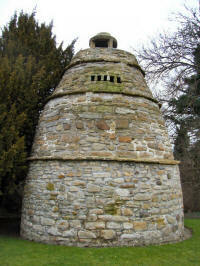 A large circular 'beehive' dovecot in a good state of preservation with nesting boxes complete. 2.5m SE of Edinburgh off the A68. 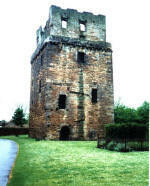 Built round an L-plan tower house of the early 15th century, Craigmillar was much expanded in the 15th and 16th centuries. 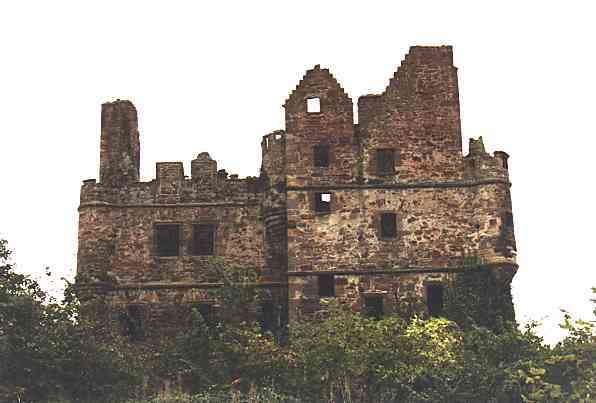 It is a handsome ruin, including a range of private rooms linked to the hall of the old tower. Mary Queen of Scots fled to Craigmillar after the murder of Rizzio and it was here that the plot was hatched for the murder of her husband Lord Darnley. This handsome structure with courtyard and gardens covers an area of one and a quarter acres. A large and sophisticated castle with a spectacular facade of faceted stonework in an Italian style added, following a visit to Italy, by the Earl of Bothwell between 1581 and 1591. Mary Queen of Scots attended a wedding here. In Dirleton village 2m W of North Berwick on the A198. 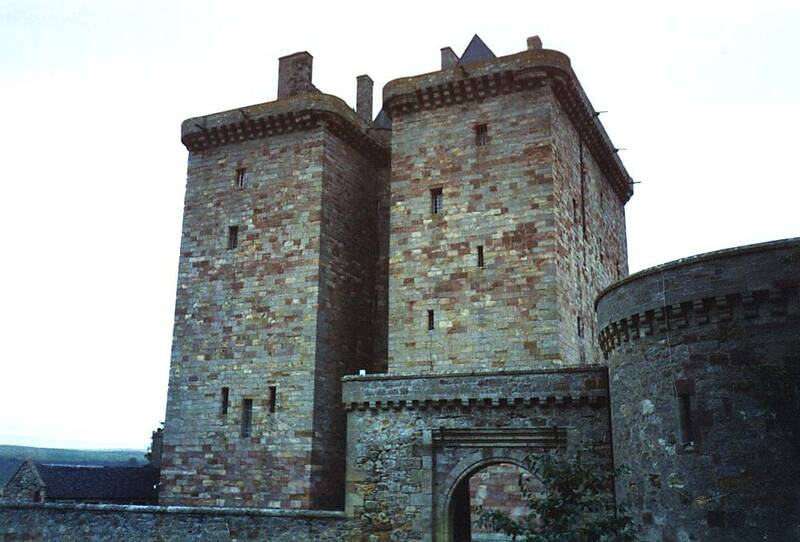 A romantic castle often in the forefront of Scottish history since it was built in the 12th century. 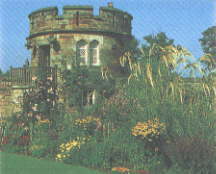 The renowned gardens, added in the 16th century, include an Arts and Crafts herbaceous border and Victorian garden. The site of a wooden hall of a 6th century British chief, and of an Anglian chief's hall which superseded it in the 7th century, revealed by aerial photography followed by excavation in the 1960s. A rare record of the Anglian occupation of south-east Scotland. 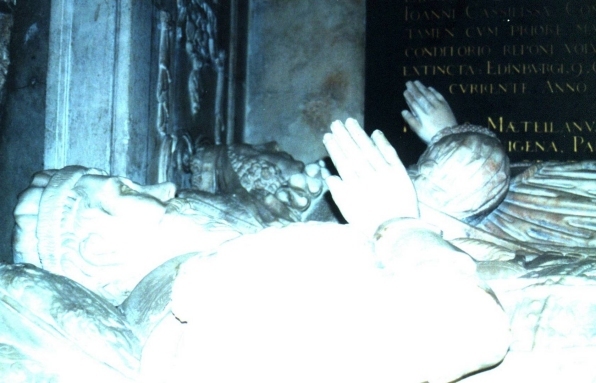 Founded in 1450 for a college of canons by Sir Alexander Hume. 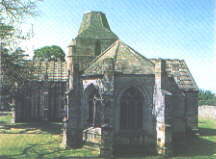 A handsome cross-shaped building with vaulted nave, choir and transepts, all with stone slab roofs. A much-defaced carving on natural rock, said to represent an eagle. 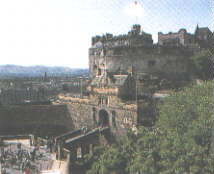 This most famous of castles dominates Scotland's capital and gives stunning views of the city and countryside. St Margaret's Chapel; the enormous 500-year-old siege cannon Mons Meg; the Great Hall; the royal palace and the Scottish National War Memorial are here together with the highly acclaimed "Honours of the Kingdom" exhibition which traces the history of Scotland's Crown Jewels and culminates in a visit to the Crown Room. The Vaults were where foreign prisoners-of-war were held, particularly those captured in the wars with France in the 18th and 19th centuries. Some of the grafitti scrawled by the prisoners can still be seen. Courtesy vehicle for disabled visitors (sponsored by the Bank of Scotland). Restaurant offering self and table service. 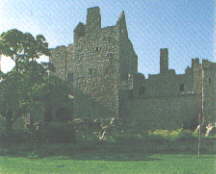 A beautifully sited ruin incorporating a fortified manor of 13th century date, extended in the 14th and 15th centuries. There are two vaulted pit-prisons. At the foot of the Canongate, Edinburgh, in the grounds of the Palace of Holyroodhouse. 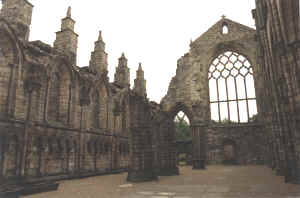 The ruined nave of the 12th and 13th century abbey church, built for Augustinian canons. Abbey and palace administered by the Lord Chamberlain. There is no free entry for Friends of Historic Scotland at this site. Thanks to Katie Erickson for providing this picture. In Edinburgh, immediately to the east of Holyrood Palace and Abbey. 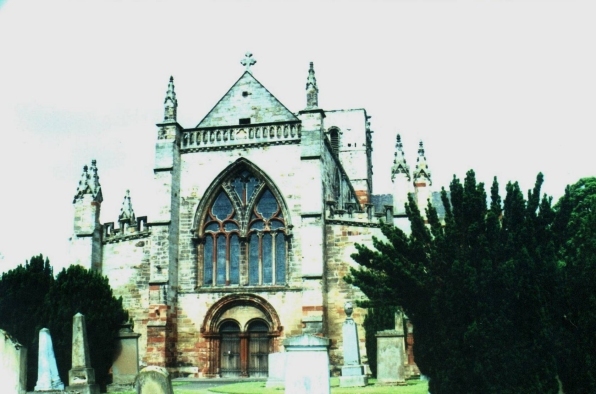 It has probably been a royal park since the Augustinian Abbey was founded in the early 12th century, and was formally enclosed in 1541 during James V's reign. Within the park is a wealth of archaeology, including the remains of four hill forts, other settlements and round them a fascinating landscape of prehistoric and early-medieval farming activity. 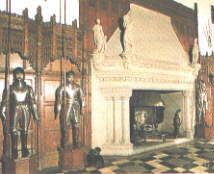 The former sacristy of the great 15th century parish church, with splendid monument of early-17th century date, in marble, with alabaster effigies. In Linlithgow off the M9. 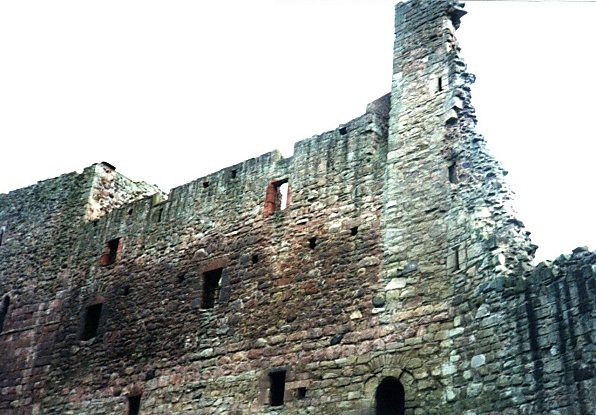 The magnificent ruin of a great Royal Palace set in its own park and beside Linlithgow Loch. Birthplace of Mary Queen of Scots. 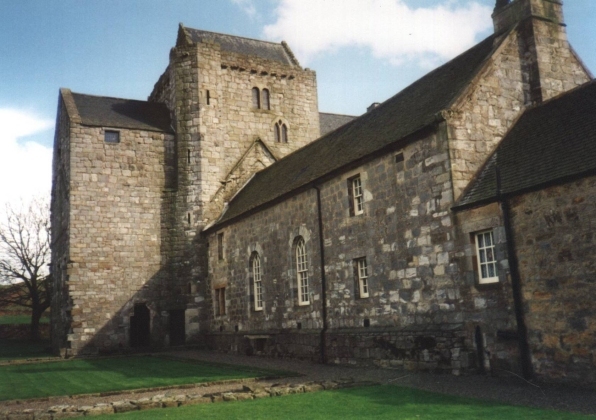 All the Stewart kings lived here from James I (1406-37) and later it housed Cromwell, Bonnie Prince Charlie and, after Culloden, the Duke of Cumberland. 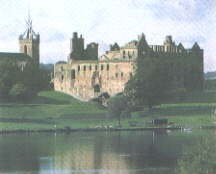 Mary of Guise declared of Linlithgow she had "never seen such a princely palace". The Ross Doocot, Learmonth Gardens, Linlithgow was built in the16th century by the Baron Ross of Halkhead, and can be seen opposite the Linlithgow Canal Centre. It is a circular beehive doo-cot built of rubble and has 370 nesting boxes. The doo-cot had £15,000 spent on it for repairs / restoration in 2010. Grid Ref NT00347701. Picture by Mark Bragg. Symbol of the right of the inhabitants to hold a market, this is a fine free standing 15th century cross on a modern base. 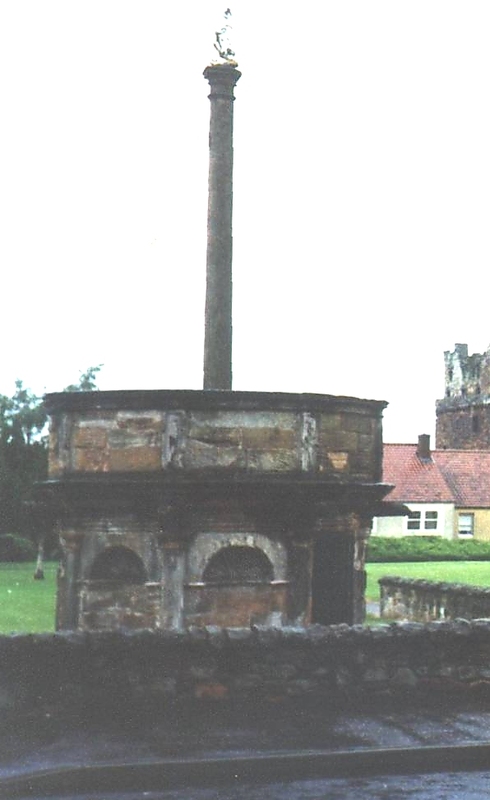 The only surviving example of a market cross of its type on its original site. A beautiful piece of early 17th century design, with a cylindrical base surmounted by a cross-shaft headed by a unicorn. On the eastern outskirts of Haddington. 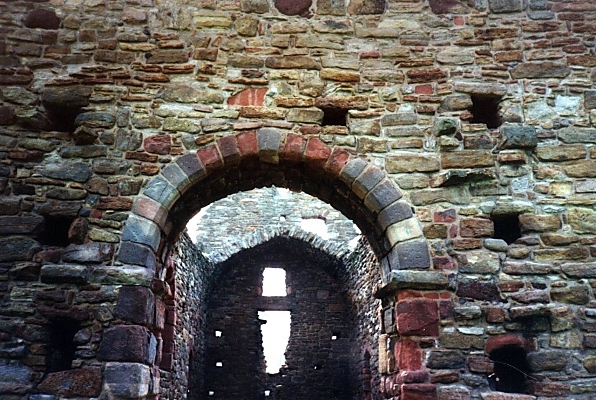 The ruined nave of a Romanesque church, altered in the 13th century. Off Restalrig Road South, on the east side of Edinburgh. 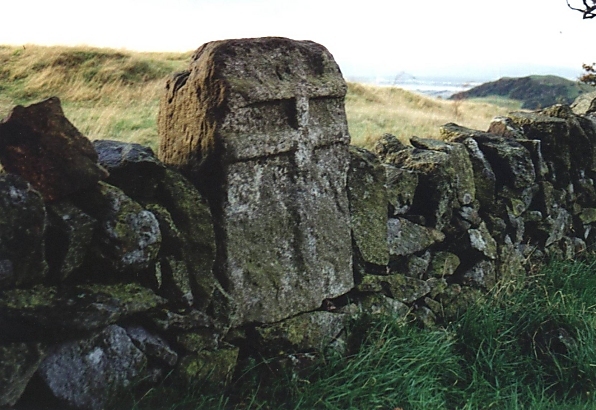 The lower part of a chapel built by James III, housing the shrine of St Triduana, a Pictish saint. 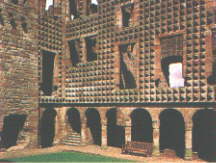 The Hexagonal vaulted chamber is unique. The chancel and apse of this lovely building are 15th-century. 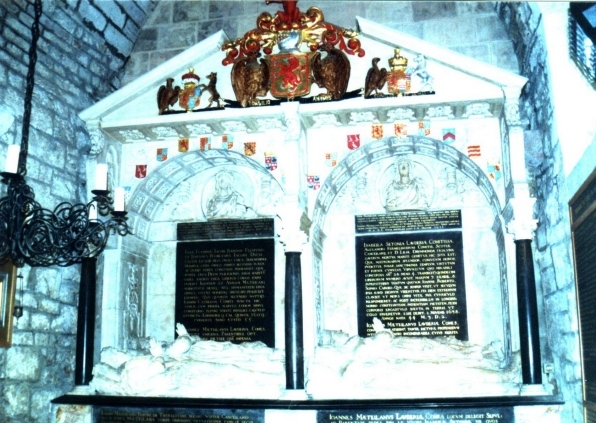 The transepts and steeple were added by the widow of the Lord Seton who was killed at Flodden in 1513. Winter: closed Tuesday afternoons and Wednesdays. 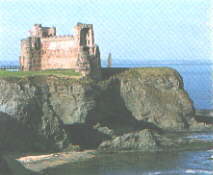 Set on the edge of the cliffs, looking out to the Bass Rock, this formidable castle was a stronghold of the Douglas family. 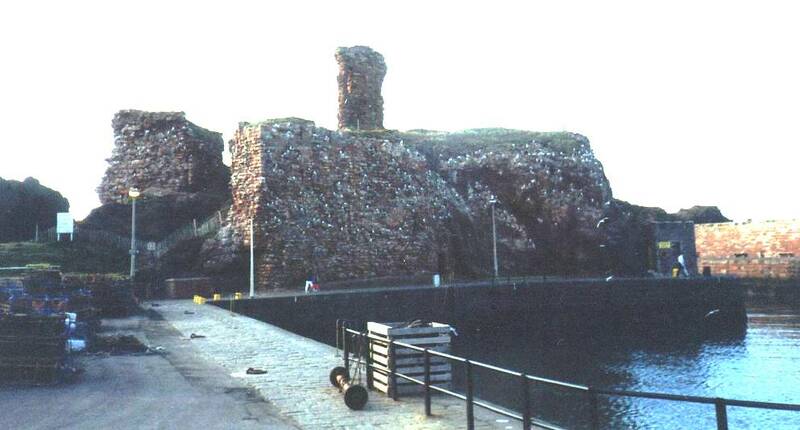 It features earthwork defences and a massive 50ft-high 14th-century curtain wall with towers. Display includes replica guns. The tower and transepts of a church built by the Knights Hospitaller of the Order of St John of Jerusalem in the 13th century, much altered. Return to our Historic Scotland Page | Read about the History of Leith here!